Ever short on time? Feel like one day should be 48 and not 24 hours? Don’t seem to ever be able to get everything done in the time frame you need? We thought so, trust us, you’re not alone. If you’re reading this you more than likely have bought some of our custom tailored goods, or you’re looking to potentially do so in the near future. 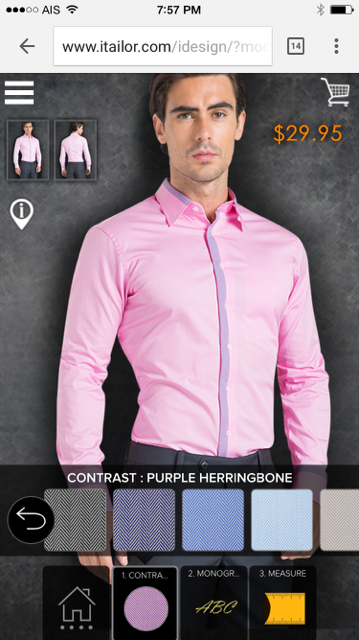 There are many incredible different options for custom dress shirts or custom made suits in our original 3D designer, but just about a month or two ago we launched what is known as the “iTailor Collection”. Now if you follow us on Facebook, Twitter, Google + or any of our other social sites then you’re probably aware of what this is. However, for those who this is new for, we plan to inform you in detail what the iTailor Collection is, it’s main purpose, and how it can help you. First off how many times a week would you say you’re on your mobile device or smartphone and you find yourself browsing an online store? 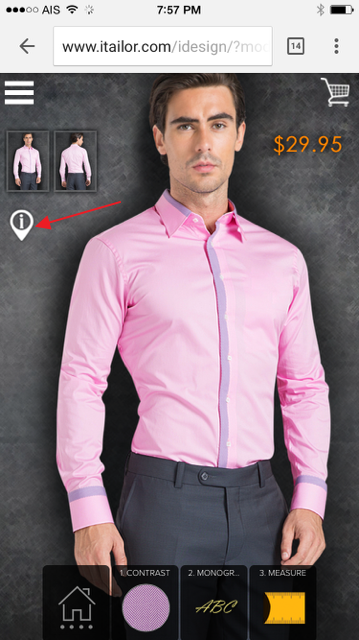 Let’s go a step further, how about an online store where you’re looking at clothes? And let’s go one final step, looking at custom clothing — ok, ok I know this is a niche market, I digress 🙂 I am simply trying to draw attention to the fact that we as a society are even shopping for clothes through our phones and mobile devices today. Now you might be asking yourself what does this have to do with designing custom dress shirts and suits, etc. I am glad you asked, we know how much you love our 3D designers, the limitless design options regardless what product you’re purchasing, but we also know how the majority of you still take to your desktops or laptops to finalize the order since it’s a bigger screen and helps you see what you’re designing better. Enter the iTailor Collection, we have developed a very specific mobile targeted 3D designer with special pre-made looks you can alter in about 2-3 minutes and check out! 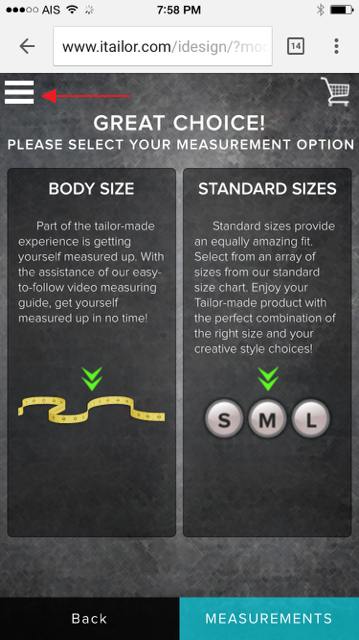 It still allows you to use your custom measurements and add some special flare to your garments as well. Be sure to take a look at the photos below and don’t forget if you liked what you read or have any questions feel free to let us know and comment below! 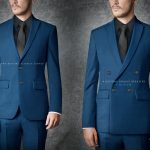 If you’d like to design your own custom suits, dress shirts, etc. from our collection click here and start designing your garments today! Don’t forget to subscribe to our newsletter below for free company updates and our weekly sales on custom men’s suits, shirts, luxury designer shoes, and more! TAKE A LOOK AT THE PHOTOS BELOW TO GET A REAL TIME IDEA OF HOW THIS KILLER DESIGN TOOL WORKS, OR CLICK THIS LINK AND START ON YOUR OWN NOW! Main view after garment is selected. 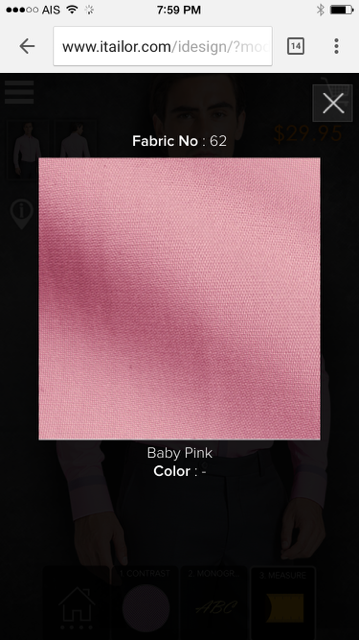 Press the icon to the left to see the fabric close up. Close up of the shirt fabric. 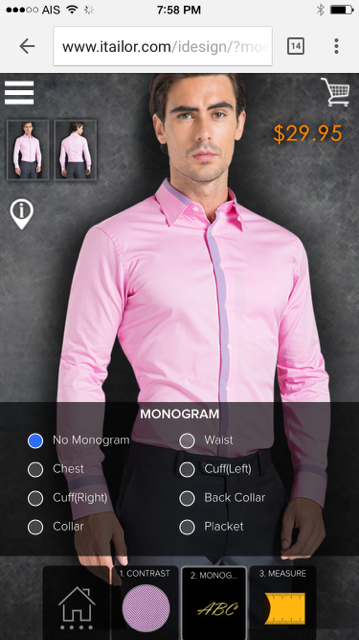 Hit the monogramming button and choose your placement area. Enter your custom measurement as always and proceed to checkout. 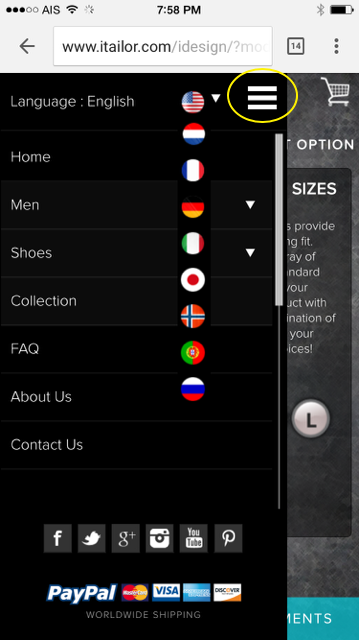 Hit the MENU icon in the top left to continue shopping, change languages, contact us, etc.